How pathetically inadequate is the homebirth midwifery CPM “credential”? The CPM (certified professional midwife)is the pretend “credential” fabricated by Ina May Gaskin and colleagues, and awarded to themselves. Its purpose is to trick lay people and legislators into believing homebirth midwives are trained. It is not recognized by any other first world country because it does not meet even minimal education and training requirements in the UK, the Netherlands, Australia, Canada or anywhere else. 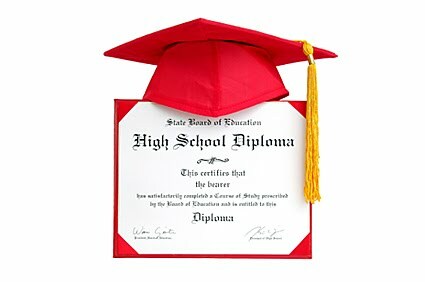 All applicants will be required to submit evidence of a high school diploma or equivalent. That’s right. In an age in which 92.7% of American women graduate from high school, homebirth midwives have taken the unprecedented step of instituting the requirement for a degree that everyone already has. Why the change? There are two possible explanations that I can think of. First, it may have finally occurred to MANA that awarding credentials to women who don’t even have high school diplomas has the potential to undermine the legitimacy of the CPM in the eyes of the general public. Second, they may have been required to do so by the National Commission on Certifying Agencies (NCCA). NCCA accredited programs certify individuals in a wide range of professions and occupations including nurses, automotive professionals, respiratory therapists, counselors, emergency technicians, crane operators and more. One of the fundamental purposes of the PEP is to grandfather in self proclaimed midwives who practice without ever completing the basic certification requirements. Indeed, in 2000, when Johnson and Daviss conducted their famous study, more than 90% of the CPMs in the study had obtained the CPM through PEP. That might have been reasonable then since the requirements for certification had been codified only in 1994. But now, more than a decade later, as many as 2/3 of CPMs obtain the credential through PEP. According to the NCCA, that is unacceptable. In other words, NARM may have been forced to institute the requirement for a high school diploma (or its equivalent) or risk losing the accreditation of its credentialing process. The CPM credential is a joke perpetrated on unsuspecting lay people and legislators. The fact that a high school diploma represents a “tightening” of the requirements makes that quite clear. Well that is really important even though they doesn’t have enough degree to be called a midwife. Thus, there are many in rural areas who were able to make this kind of thing for they were able to inherent the techniques and other important details that they must be aware of when they do the process of giving birth to someone.